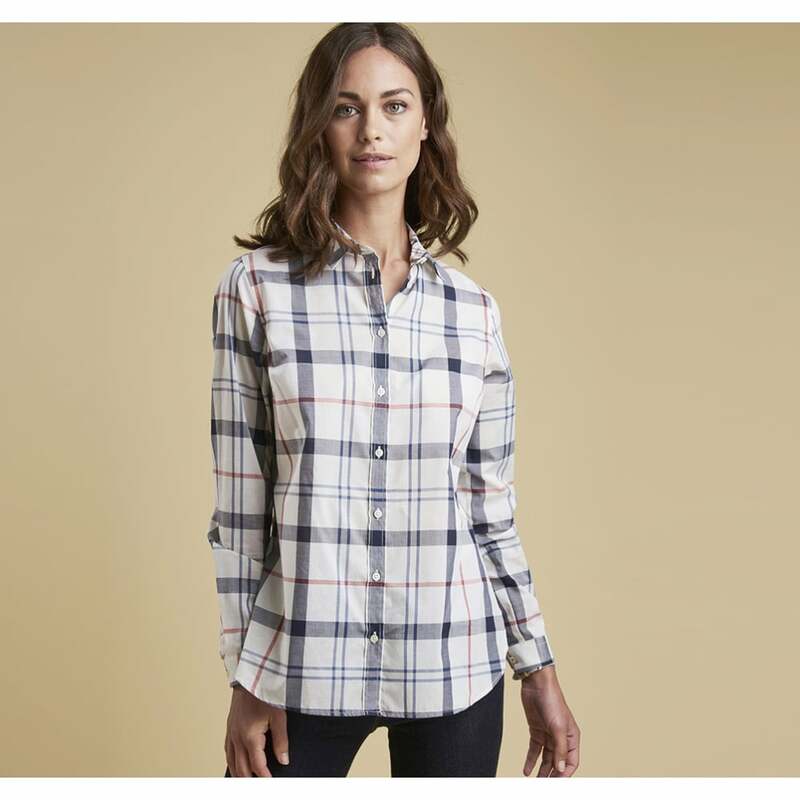 Featuring an large scale Summer Tartan pattern the Barbour Hett shirt has been created from a super- soft cotton to provide ultimate comfort. Designed in a regular fit this shirt has added front darts to provide shape and style. Extra detail has been added with Barbour branded buttons and a metal ID bar. Team with your favourite jeans and pumps for an effortless summer look.